Special feature : Kunitsugu, born in Higo province went to Kyoto and learned under Dewa Daijo Fujiwara Kunimichi in Yamashiro province. It is thought that they worked together for a long period of time and several collaborations still survive. Kunitsugu’s signed pieces are comparatively rare. 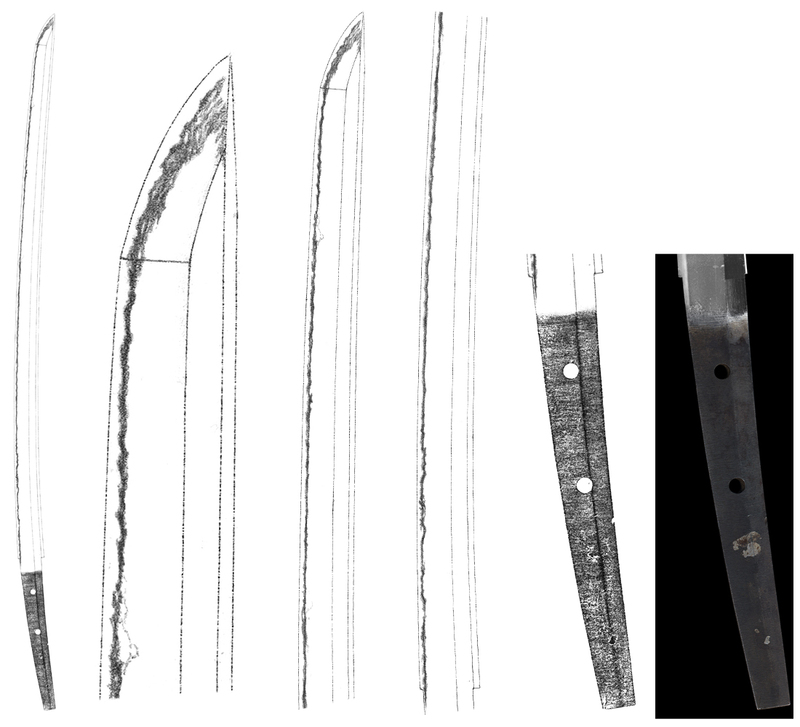 According to the inscription on the revere side of the tang, he forged this katana by imported iron at that time. This is the most magnificent and excellent Kunitsugu’s sword we have ever seen. Blade length : 65.3 cm or 25.70 inches. Width at the hamachi : 2.81 cm or 1.10 inches. 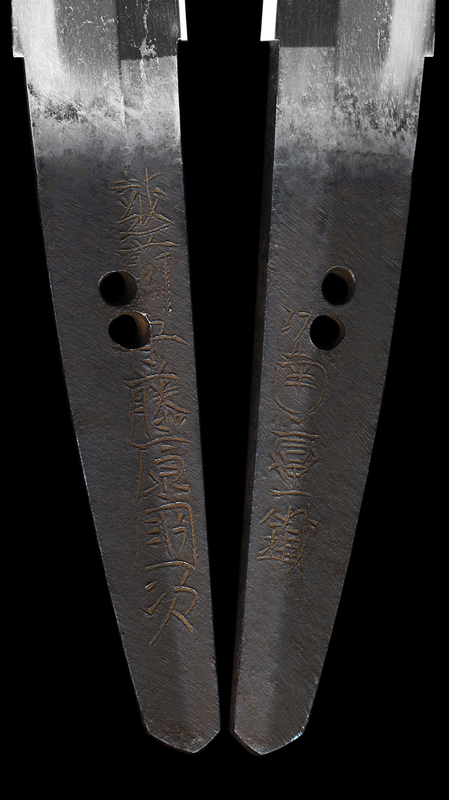 Width at the Kissaki : 1.96 cm or 0.77 inches. Era : Late Kamakura to Nanbokucyo period. 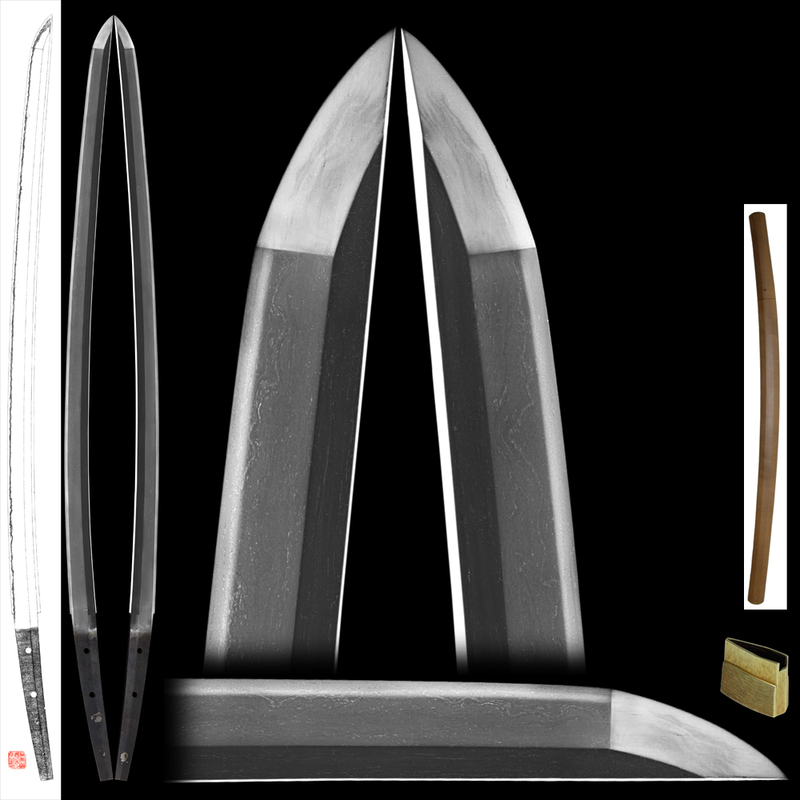 Shape : The blade is oosuriage mumei(cut shortened) regula sized with deep sori and long kissaki nice looking shape. Jitetsu : Itame had well grained with masanagare and visible to see the texture. Hamon : Niedeki suguha with komidare hamon. Boshi is round shape with hakikake style.